Over 29 million Americans have diabetes. Of those millions of people, the majority take at least one medication to treat their diabetes, but also take additional medications or supplements for other conditions. With this complex array of medications across such a broad and diverse population, potential contraindications are a real possibility. Diabetes Risks from Prescription and Nonprescription Drugs surveys the medication landscape and provides brief yet illuminating information on the potential effects any medication may have on people currently treating diabetes or whether any particular medication may increase the risk that someone will develop diabetes.Designed with the busy clinician in mind, Dr. Dagogo-Jack provides succinct descriptions of the drugs that may interact with diabetes medications or increase the risk of developing diabetes. 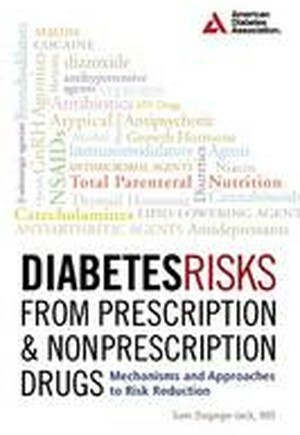 He includes information from the latest clinical studies and the most recent literature to present a comprehensive, authoritative text on an elusive and troubling clinical conundrum.